Probably just me, but I couldn’t understand the first sentence in this article. Any chance someone can clear this part up? @Kol Tregaskes, teaser means it’s not a product available yet just a prototype or proof of concept or whatever you won’t find it on market. It would be really nice is this product came with 19 risers that were NOT powered risers but would get their power from the motherboard. Not THAT would be a huge improvement to cabling. This Asus teaser looks amazing. Being a miner for over four years, using your mining rig for STORJ or any other similar platform is great to stake up on more cryptos. This teaser should have at least four ram slots, and if possible one more cpu so user could mine with the second cpu, that would be the ultimate board. 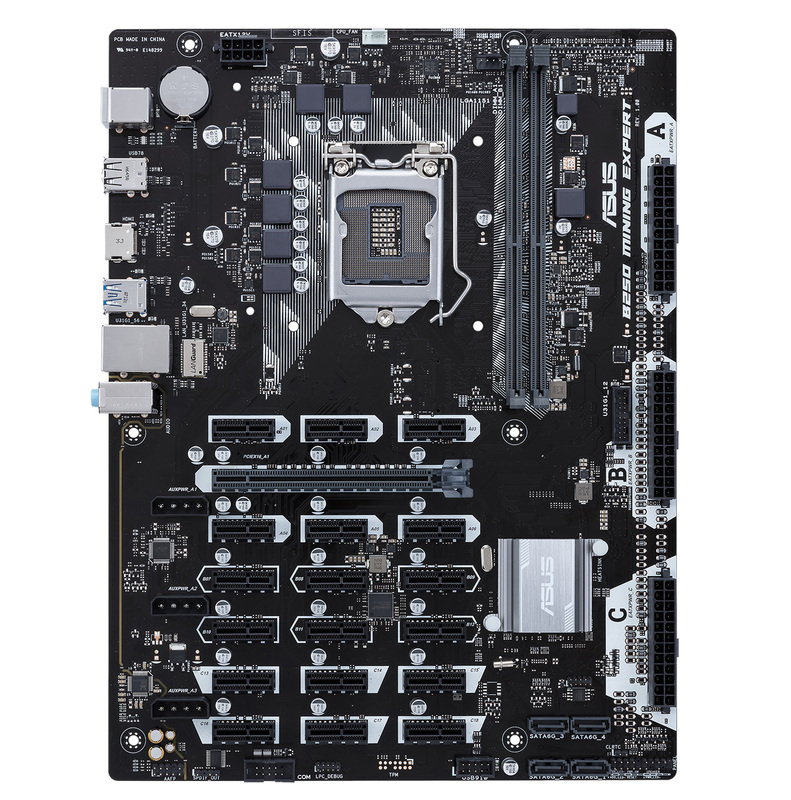 This motherboard should have 4 RAM slots. 16 GPU limit is not true! Most old soho mainboards were not able to handle more lanes. New PLX chipsets can handle up to 104 lanes. The BIOS is already setup to spin it, like with Biostar or AsRock Mining Boards. Well – you need to find out a bit more on your own and the driver will make you insane – it is possible. Dont lose your head in a “headless mode” could destroy your OpenCL ;) — have fun. Anyways this blog is amazing and nobody is able to know all the news or technical specs. But I get 10% of my needed informations and sources from here. I’m put another 1080 ti on the board it was not boot. We have this board and got as far as 3 VEGA before problems. Windows 10 device manager would show 4 VEGA but one with an error. It would be random which one had the error. Error 46 means not enough PCIe lanes. Using an i3 7100 CPU. Putting a 4 way riser in one PCIe and running 4 GPU off that solved the problem. This begs the question why buy a board with so many PCIe if a normal board using 4 way risers will get you what you want? Have two of this boards on two rigs – running 19 GPU’s on each. 11x MSI RX 580 8GB + 8 P106-100 (6GB). The secret is you need at least 8x NVIDIA P106-90 (3GB) or 8x P106-100 MINING CARDS in your rig setup. Without them you can run MAX 13x GPU’s on this board. Hi I am having a problem getting my screen to work. It keeps going from analogue, to HDMI, but I plugged in a HDMI screen with HDMI cable. Can you tell me why it wont show the screen. 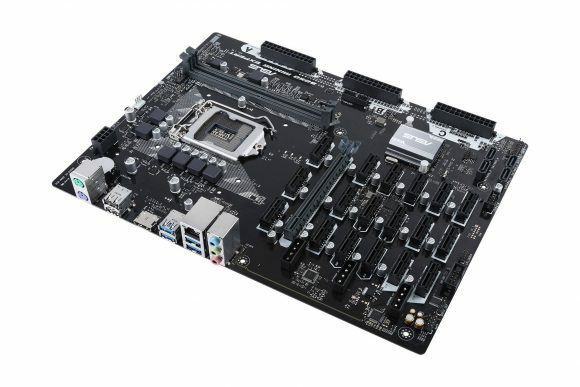 I have a ASUS B250 Mining Expert Motherboard, on my rig. With 6x RX570 cards on the rig, and 3 1070’s. Screen is messing me around everything is coming on except for the screen. Please help……. I just updated bios, and now I cannot boot SMOS from USB or Win 10 from SSD. WTF??? Please HELP!!!!! !